The Country of Mist has had its share of civil wars and has always used their Shinobi with Advanced Bloodlines as the primary weapons. Over time, those with "Advanced Blood" came to be hated and feared. This forced those with advanced bloods into hiding in order to live in peace. Haku was one of the few people in the Mist with Advanced Blood left. When Haku was just a young child, his father discovered that his wife was part of an Advanced Bloodline. Haku's father proceeded to kill his mother and then went after him. In Haku's fright, he killed his father and fled his small village, believing himself to be a monster: a monster loved by no one. On one faithful day, Haku looked up in the slums of the back alley to see a Shinobi staring down at him, this Shinobi was Zabuza. Haku then proclaimed, "You have the same eyes as me". Zabuza realized that Haku was one of the Advanced Bloodline limit carriers, and took the child under his wing. Haku was raised by Zabuza as "a tool" to be called upon when needed in exchange for his "freedom" from the slums. He learned how to use his unique abilities and eventually became a Hunter-Nin. When Zabuza's plan to kill Mizukage fails, Haku fled the village along with Zabuza to fulfill his job as a veritable "a tool." Haku's slender frame and delicate appearance enables him to disguise himself in various ways. In fact, while finding medicine to treat Zabuza's wounds Haku runs into Naruto. Naruto mistakenly believes Haku is a girl. As we see in the ensuing brawls, it is not appearance that determines strength. Rather, under that soft face we see that Haku has an adroit knack for speed and Jutsu skill. Combined with his knowledge of the human body, Haku can target his opponent's vital organs and kill them instantly using pinpoint accuracy. The main choice to attack these vital organs is with simple needles that are used by physicians in the battle field. Haku's bloodline originates in the country of Mist so it is no surprise that his Jutsus are water based. His "Flying Water Needles" is a technique whence he uses his chakra to create ice needles via water on the ground. Furthermore, he uses his chakra to control the path of the needles and strike the enemy. His other technique, "Demonic Ice Mirrors" uses water to create ice mirrors to surround the enemy. He then combines himself with the mirrors and uses the reflection to transport himself from mirror to mirror while attacking his enemy from all angles. His most incredible ability however, is the ability to do one-handed seals. This allows him to complete various tasks that are not capable of being accomplished without having a free hand. 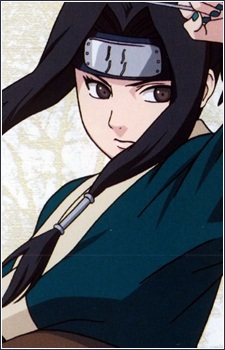 Although Haku is an exceptional fighter, he is a kind ninja who is saddened by unnecessary death. His fighting spirit comes from the will to protect his most "precious person," because "when a person has something precious to protect, that is when they can become truly strong." Haku is later 'revived' by Kabuto using Impure World Resurrection during the fourth shinobi world war. Uchiha Sasuke's most defining feature in Naruto Shippuuden is his Sharingan, which grows stronger with each new development. Let's trace the progression of Sasuke's eyes, as well as explore the other Naruto eyes in this epic anime series. WARNING: Major spoilers ahead!